It’s been a long time since we have heard from Revo, but it has made up for it with two new designs – the Super CD and Supertone audio systems. 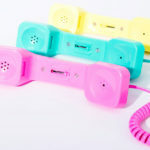 The players stick with the retro look that has made them so popular in the past. 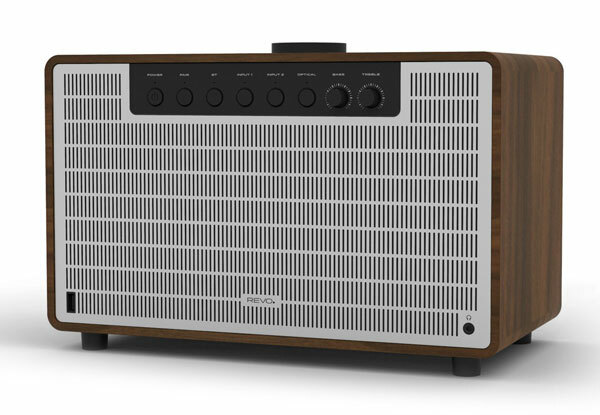 A 1960s meets Dieter Rams look with wooden casing and metal frontage look that’s very cool and very now. The company calls it ‘retro future’, which isn’t a bad description. 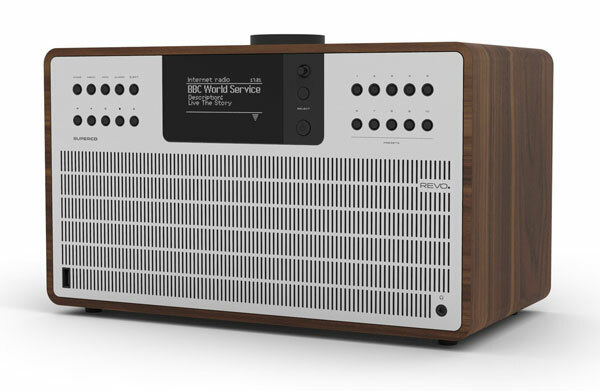 SuperCD is described as a one-box digital music system that combines access to tens of thousands of radio stations, multi-format CD playback, Spotify streaming, Bluetooth streaming and multiroom capabilities, all controllable via a specially designed app for iOS or Android devices. Looks amazing too. That one is available now for £599.95. Following on from that and landing in January 2018 is the SuperTone. 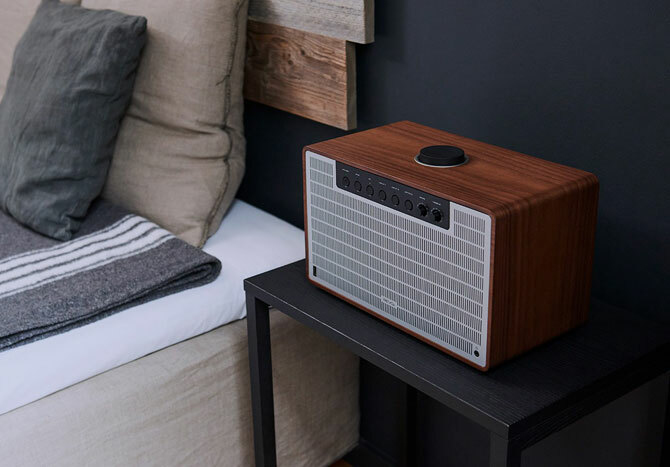 Not your average wireless speaker, this one is a quality piece of kit using quality materials and acclaimed acoustic engineering. 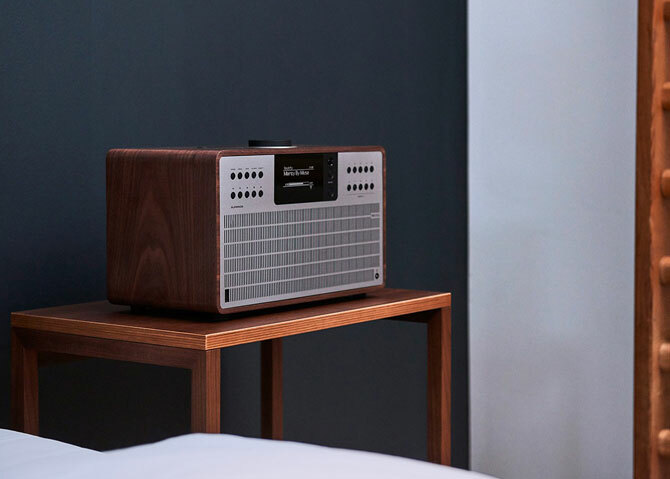 it has an 80w amplifier, a 40w subwoofer, Bluetooth streaming USB charging and an extensive range of connectivity options. You can pre-order that for £449.95.